The Finest Barber Shop in the 85016 Area Code! The feel of a fresh haircut and fantastic straight razor shave is something every man should experience at least once in his life and we guarantee that after you’ve had these things at Groom Room Barbershop, you’ll keep on coming back for more! 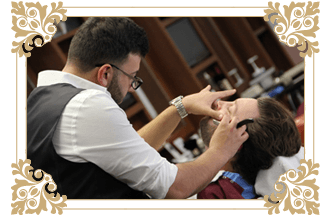 Our professionals work to create an atmosphere that’s perfectly reminiscent of an old-school barbershop, complete right down to our methods and styles. 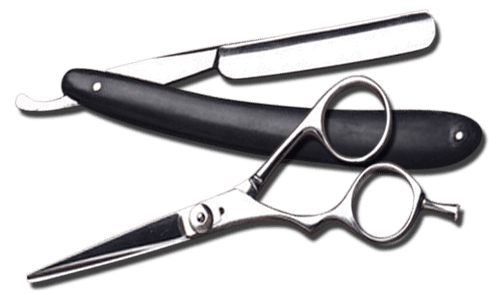 When you come to Groom Room Barbershop, you’ll get more than just a trim and a shave, you’ll get the personal service that you expect—service that chain haircut salons simply can’t deliver. We offer Senior, Student, Military, Police and Fireman discounts with I.D. We serve Phoenix, Scottsdale, Mesa, Tempe, Gilbert, Chandler, Glendale and Peoria. 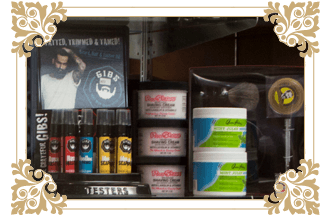 Our barbers provide personalized attention with unparalleled experience. 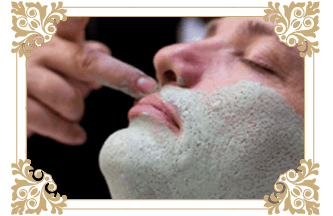 We offer package deals to give you the best value. We’re open until 6 p.m. every day of the week!